Now Selling! 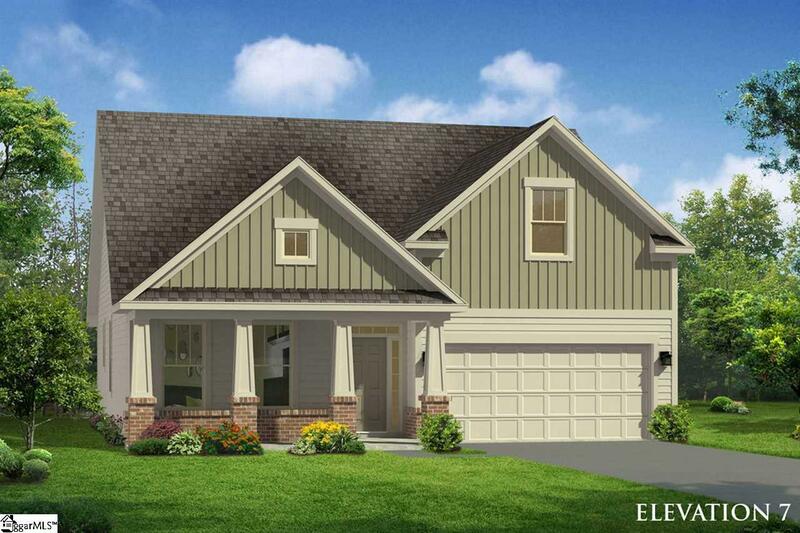 Brand new ranch-style home in amazing Greer location with a pool! 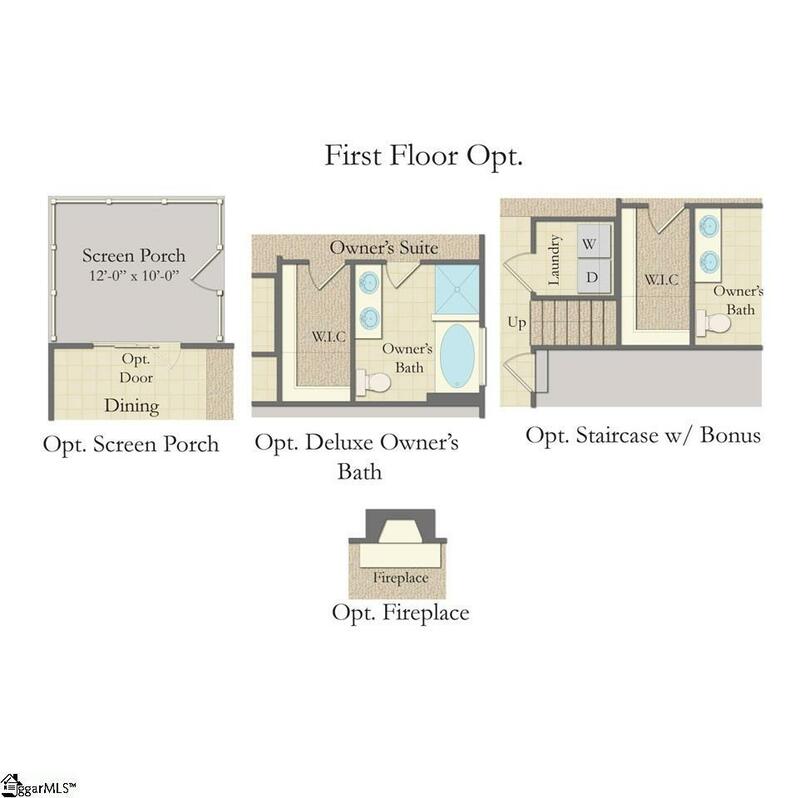 The lovely Parker plan offers first floor living PLUS a huge bonus room option over the garage that could easily be used as a 4th bedroom! Airy and bright vaulted ceilings greet you as you step into the foyer. The family room, kitchen, and dining area all blend together in this open-concept layout. Your kitchen is a chef's dream that comes complete with stainless steel gourmet appliances including a gas range, built-in microwave, garbage disposal, and dishwasher. Sleek, staggered cabinets are accented by durable and gorgeous granite counter tops. A HUGE center island provides extra prep space and creates a great casual dining option! Next to the kitchen, an eat-in area spills out onto a peaceful and relaxing 10x12 patio that overlooks your fully sodded yard. 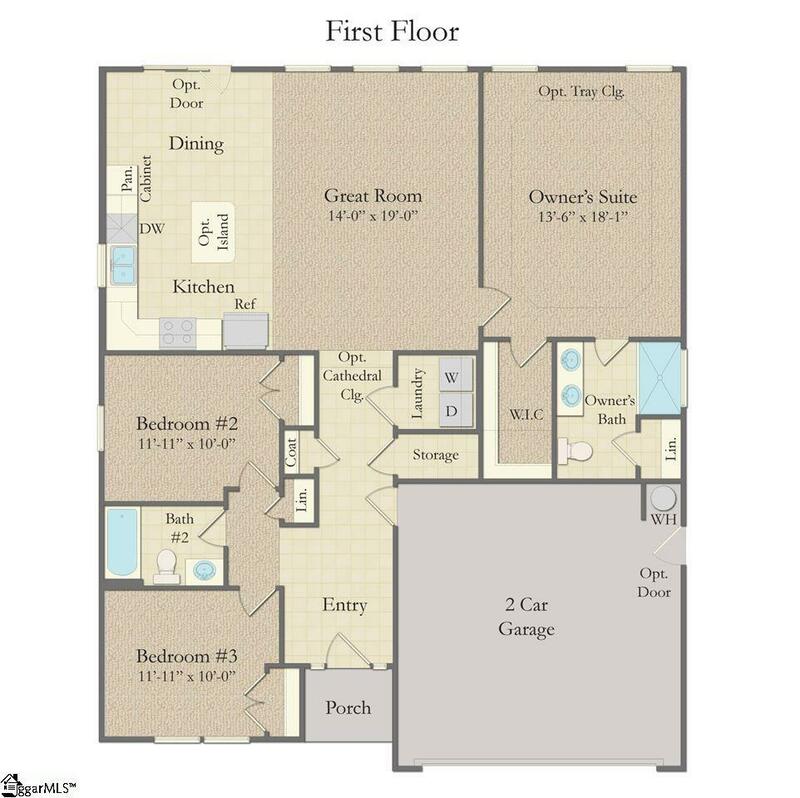 The master bedroom is on the main level and boasts a walk in closet and luxurious master bath with dual vanities and a 5ft shower. Two generously sized secondary bedrooms share access to another full bath and a laundry room is conveniently located across the hall. 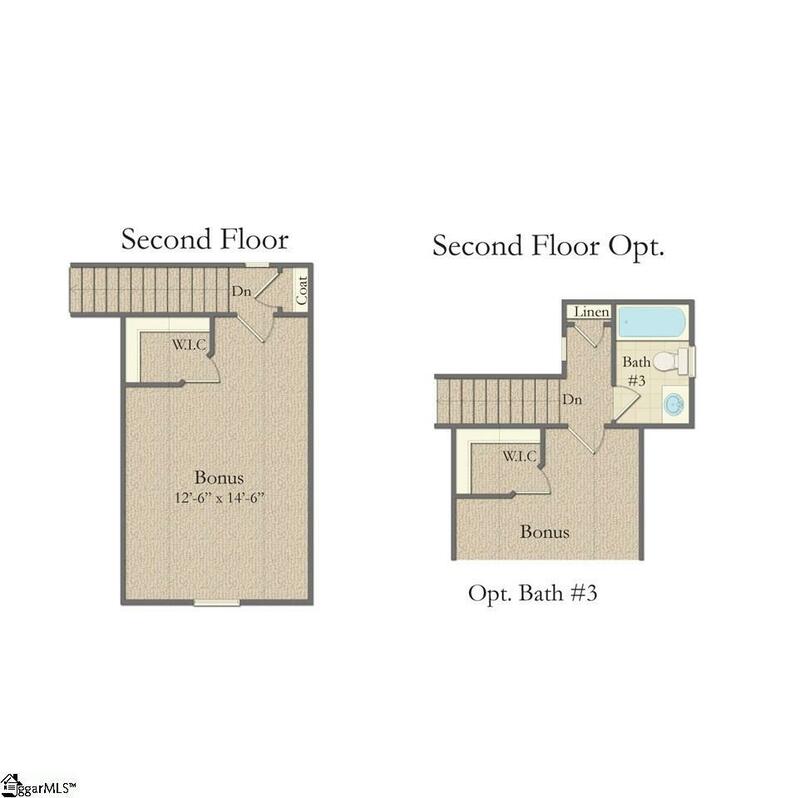 Walk up the stairs and enjoy a 14x19ft large bonus room that could be utilized as a 4th bedroom, home office, media room, or play room! Multiple closets, attic, and 2-car attached garage for extra storage. This home has so much to offer and is a MUST SEE! Our brand new Katherine's Garden community offers a community swimming pool with an open air pavilion, sidewalks, and an incredible location. Perfectly situated only 7 minutes from charming downtown Greer, 4 minutes from great shopping, dining, & entertainment options on Wade Hampton Blvd and only 20 minutes from both BMW and downtown Greenville, you'll never run out of things to do! Home is proposed construction with a 5-6 month build time from time of contract. Closing cost assistance available. Listing provided courtesy of Danielle Simmons of Dan Ryan Builders.